An old piece of plywood ‘art’ that I failed at modpodging over (reduce, reuse & recycle, am I right?) 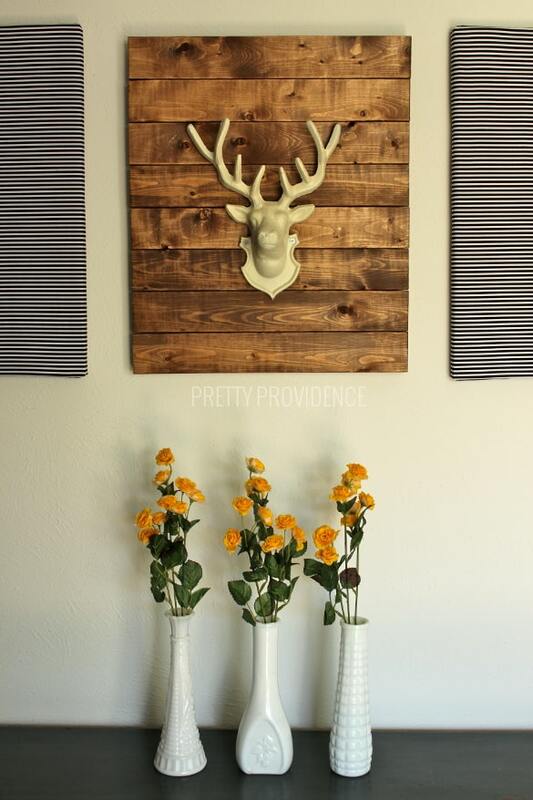 the faux stag head, some minwax stain, screws, a drill and wood that I bought & had sliced at home depot. Wood glue would probably work just as well as screws and a drill if you would rather do it that way. 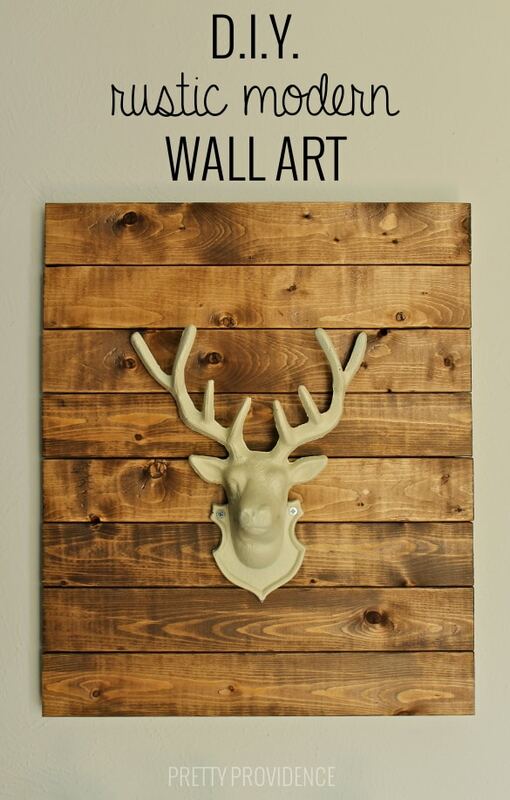 I started by lining up the pieces of wood in a way that I liked. Then I stained them all. 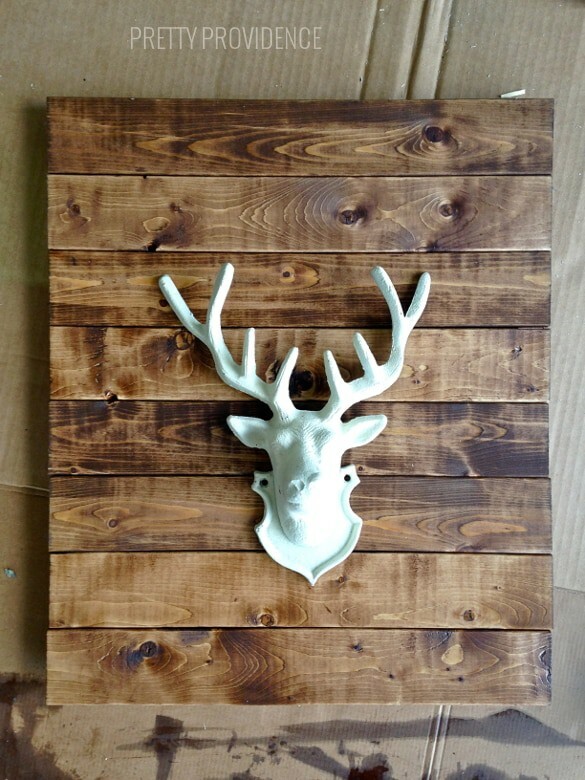 Since I wanted it to look pretty rustic I kept the stain on for different amounts of time on each piece. 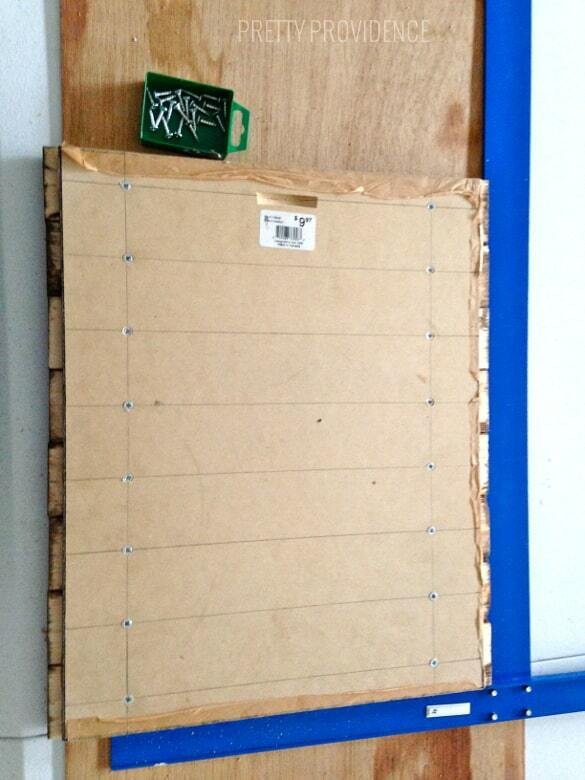 After letting that dry overnight, my husband assisted me in attaching the boards to the old plywood art. My husband lined up the boards, measured and marked where the screws were to go and drilled small holes in the spots to guide the screws, then drilled them in. You’ll see that he put them against the blue square to keep them from moving around while he did this. You could also put it against wall or something, just to keep everything in place! Then we mounted the stag head to the front with two screws. 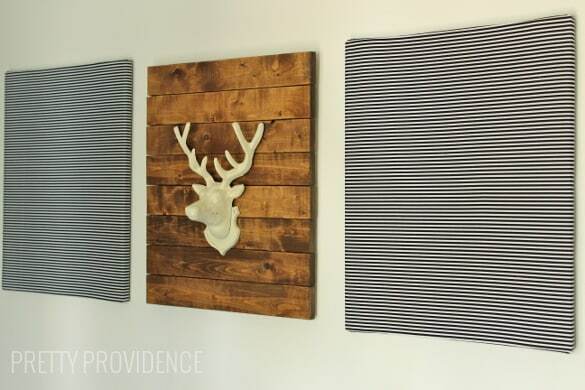 To add more of a modern feel to my entry way I covered two old canvases I had in black and white striped fabric and hung them up on either side of the stag head. And now we have an entry way I am proud of! 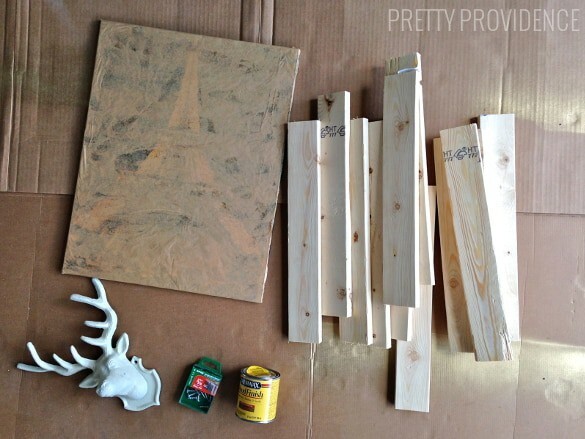 If you like this — check out my DIY desk for under $60 and my gold-dipped mirror frame! This post may be linked up. I love this idea. 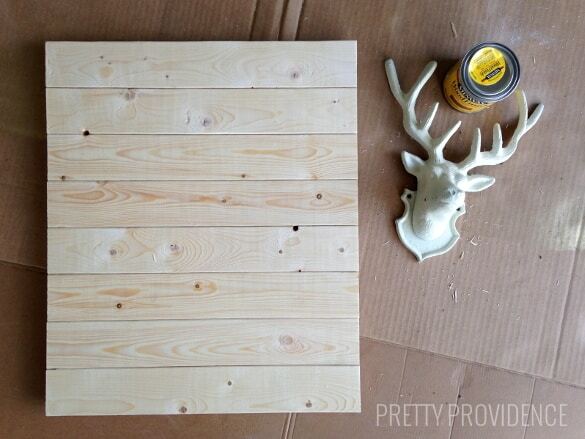 You could cut your cost even more using pallet wood. I will have to make this, beautiful. Thanks Kelly! I got it on Amazon – here is the link:http://www.amazon.com/gp/product/B000RZAUVC/ref=as_li_ss_tl?ie=UTF8&camp=1789&creative=390957&creativeASIN=B000RZAUVC&linkCode=as2&tag=prettprovi-20 – pretty cheap and I just spray painted it!